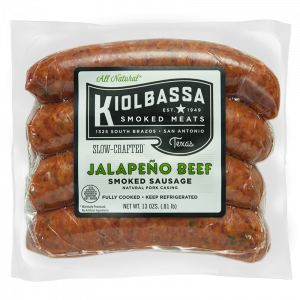 Round these parts, Kiolbassa is known for having the best beef sausage on the shelves. 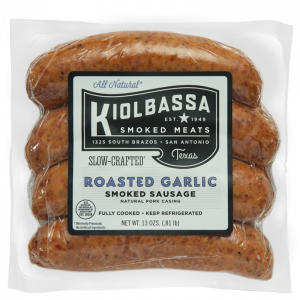 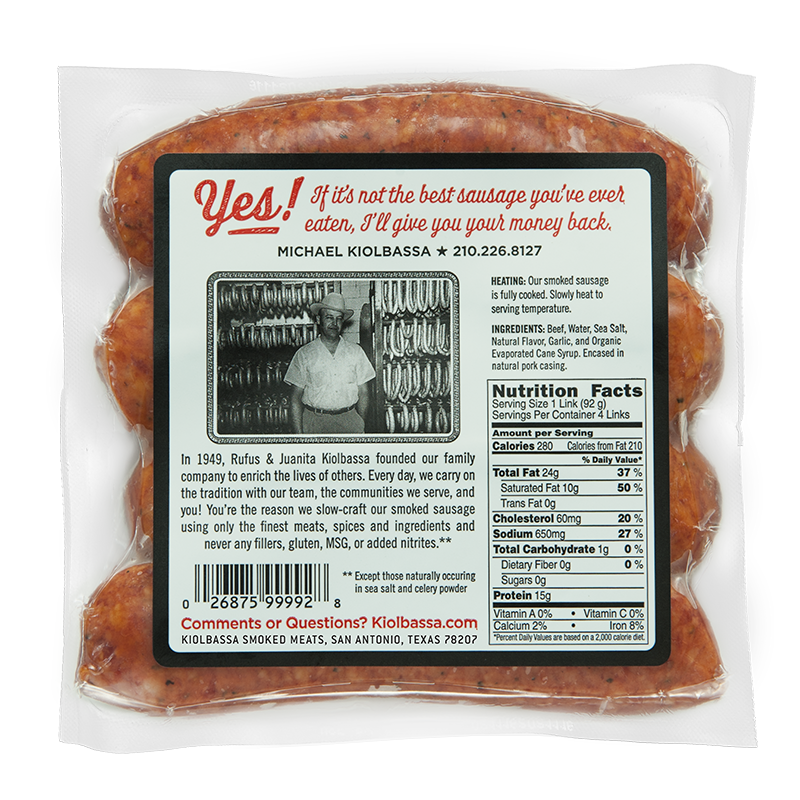 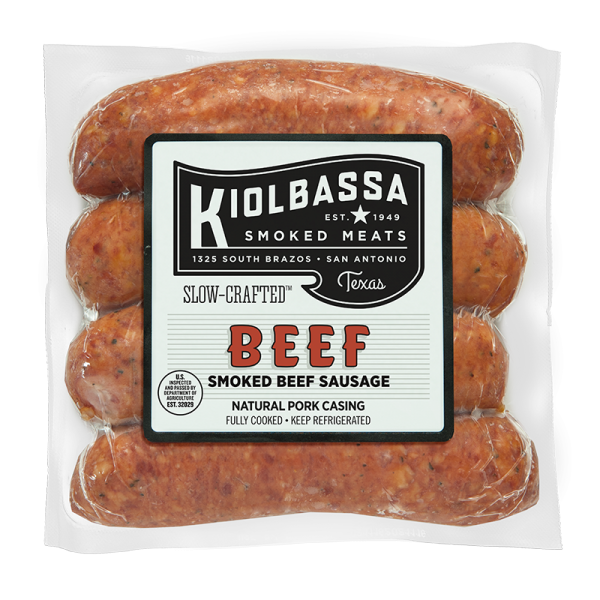 Kiolbassa beef sausage is famous for its exceptional smooth taste and a robust, beefy bite. 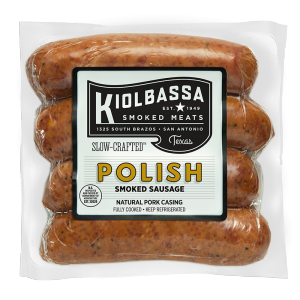 Yep, once you sink your teeth into our Kiolbassa Beef Smoked Sausage, you’ll understand. And a word of warning: grilling Kiolbassa Beef Sausage outdoors has been known to cause neighbors and passers-by to mosey over for a closer look…or taste!